The construction and demolition contractors across the UK face new challenges and new applications over time. Remote controlled robot demolition is an innovative technology the experts have developed over time to ensure efficient and safe demolition in any delicate or restricted spaces. These robotic machines have replaced human labour at demolition sites. And certainly, they can ensure more productivity with consistent and faster work pace compared to human labours. However, this isn’t all this automated demotion robots have on offer. They are a plethora of other benefits that make them the best choice over traditional demolition techniques. Here is a lowdown on top 5 benefits of using remote controlled robots for demolition projects. 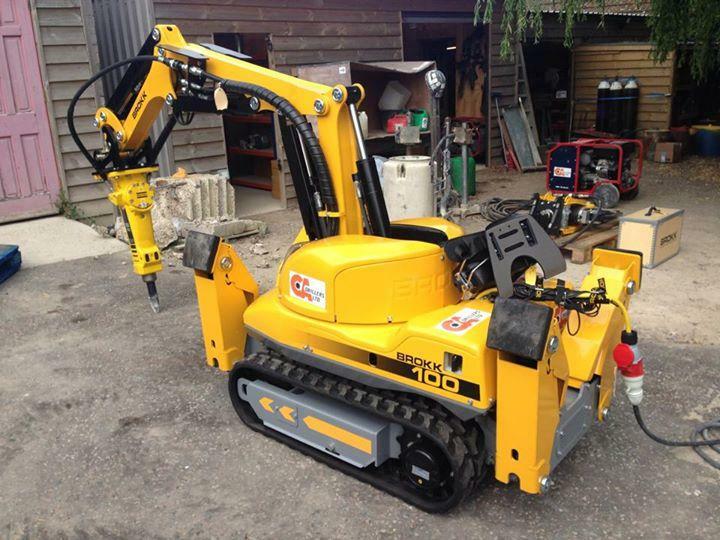 When it comes to robotic demolition, Brokk demolition machines top the list. They are highly durable and powerful. Although they are quite small in size compared to traditional machines, these robots can product about five times more power and higher speed, crunching through any structure in no time! The second biggest benefit of choosing these advanced demolition robots is they are compact in size and thus make a perfect choice of tighter spaces. In fact, they are designed in a way they can easily walk through doorways. These robots can also undertake demolition work for high-storey locations. Indeed, there are many health and safety benefits associated when you use remote-controlled robotic machinery for demolition projects. As these robots can be operated from a remote distance, there is no need of operator or labours working at a job site. Some structures may get unstable while deconstruction work is carried. Also, there is a risk of falling debris along with other potential safety threats. But the advent of this avant-garde robotic machines have eliminated all such risks. The modern remote-controlled demolition machines are quite operator-friendly. These robots mostly run on hydraulic or electric power sources, so don’t product fumes during operation. They present a small learning curve compared to its traditional counterparts. Use of advanced demolition robots is a perfect solution to many environmental issues contractors were facing so far. They product little to no noise and vibration while cracking through structures. They don’t product harmful fumes. They are extremely versatile to fit any complex demolition site condition. As they are operated remotely, they reduce accident risks considerably. Overall, they are the most environment-friendly choice for contractors and demolition professionals. Whether it is efficiency, safety, productivity or quality of deconstruction work you are looking for, Brokk’s cutting edge robotic machines ensure all, making it the ideal choice for your demolition needs. They help you save a considerable amount of time and money. These robotic machines often come with different attachments such as drop hammer, breaker, shear, breaker and claw. Remote controlled demolition robots are the ultimate choice when deconstruction work needs to be performed at underground shafts or in disaster sites. These robots are an urban approach to demolition needs. Want to know more about robotic demolition? Get in touch with us TODAY!